If you’ve yet to include SMS in your content marketing strategy, then it’s imperative that your reconsider your priorities. SMS marketing will yield tremendous value in 2017 and you’ll want to be a part of this high-returning trend. But the key to success is engaging and succinct copywriting. Are you ready? This is an incredibly high open rate and makes SMS the premier channel in terms of penetration and speed of consumption. But it’s the flexibility of SMS that really makes it powerful. Furthermore, SMS isn’t overly expensive. When compared to other forms of communication that boast much lower open rates, SMS is entirely cost effective. While SMS, as a channel, is high returning, not every company enjoys positive returns. This is because many fail to follow best practices or respect the many nuances that are required to be successful. When you send a personal text message, you think about the recipient and craft your message accordingly. For example, if you’re texting your boss, the language you use will be a little more formal than it would be if you were texting your spouse. If you’re texting your best friend, the language you use will be far different than if you were sending a message to your grandmother. You get the picture. So it stands to reason, then, that you should know exactly who you’re texting in marketing situations. While you may not know each and every recipient intimately, having a careful understanding of your “target reader” helps. The reason text messages are preferred by many is that they cut out the fluff and get straight to the point. Unlike an email or letter, there’s no time or space for openings and closings. Respect this desire for simplicity and keep things concise. There’s no need to set the message up or provide a closing statement. Get straight to the point, present the offer/information, and get out. While it may seem contrary to everything you’ve ever practice in traditional marketing copywriting, remember that you’re working with an entirely unique channel. Short and simple are highly valued metrics. While brevity is necessary, this doesn’t mean you can ignore a call-to-action. You still need to include CTAs, though they’ll be abbreviated in length. Generally, you’ll introduce the CTA with a few words or a phrase and then incorporate a hyperlink that directs recipients to a longer form CTA on a landing page. Here’s an example: “Click here to get a 25% off discount on your purchase TODAY ONLY!” Notice how short, yet effective the CTA is. Even if they don’t end up using the discount, most people will at least click through. Stay away from unprofessional text speak, acronyms, and abbreviations (unless it’s part of your marketing strategy). Leave LOL, B4, and C U L8R for communicating with your friends. There’s enough room to spell out full words. Using “text speak” cheapens your brand image and makes you look like the 50-year-old man who’s trying to pretend he’s 25. Once you learn how to write concisely, you won’t have to worry about slashing characters. One of the reasons SMS is preferred by consumers is that it feels more personal than email messages or direct mailers (which people commonly see as spam). Since the cell phone is often viewed as an extension of the body, text messages are seen as very intimate forms of communication. With that being said, you should do everything you possibly can to personalize your messages. With the right provider, you should be able to address each recipient by his or her name. It’s worth paying a few extra dollars for personalized features like these. 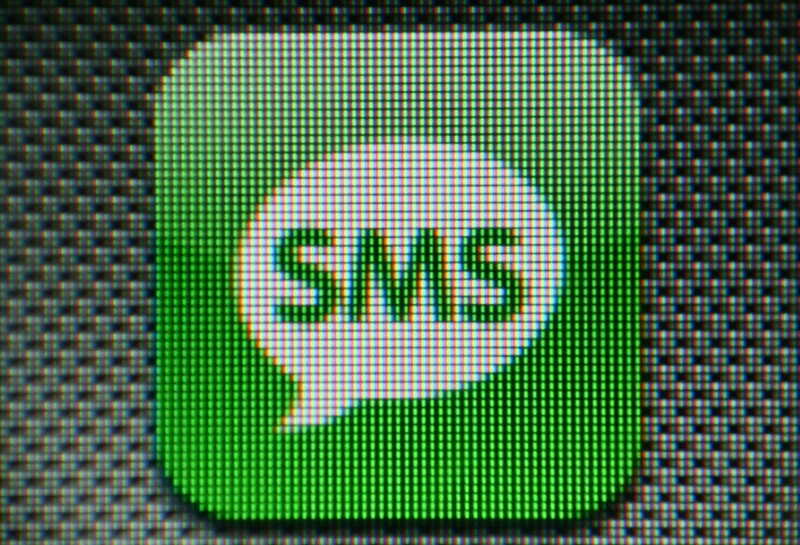 Unlike some other forms of communication, SMS is carefully regulated by the Federal Communications Commission (FCC). Specifically, the Telephone Consumer Protection Act (TCPA) and CAN-SPAM Act regulate how messages can be sent from businesses to consumers. In order to stay within the legal limitations of the law, you need to be aware of any guidelines or restrictions that apply to your situation. Specifically, you must receive consent to marketing in the form of an opt-in. In other words, you aren’t allowed to send marketing messages if an individual hasn’t first given you written consent. Furthermore, you have to provide recipients with opt-out functionality. The universal code for opting out is “STOP.” As far as content goes, the copy within the message must be deemed appropriate for the audience and must honor all claims used when getting recipients to opt-in. As you prepare for 2017, you should put content marketing at the top of your list of priorities. The difference between average content and stellar content is night and day. One drains your resources, while the other drives conversions. And while you may not have leveraged texting in the past, SMS should play a powerful role in your marketing efforts moving forward. Keep these tips and techniques in mind as you reexamine your existing approach and consider implementing new strategies. 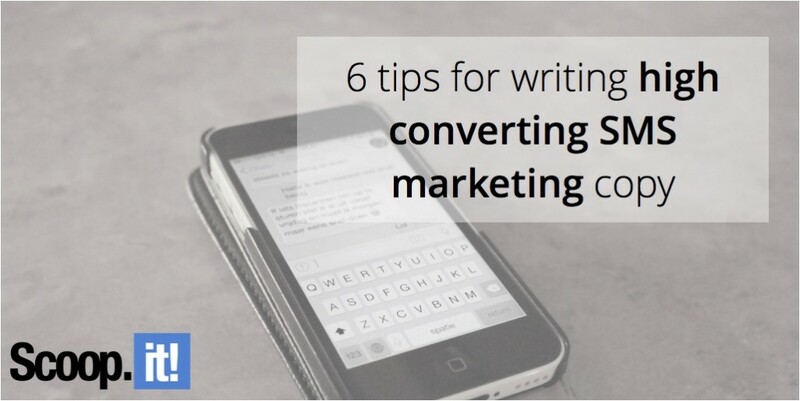 1 Comment on "6 tips for writing high converting SMS marketing copy"
I can’t agree that the reasons SMS is preferred by consumers is that it feels more personal than email messages or direct mailers, SMS is the same “spam” as the mails. But SMS you can read quickly and almost in time it received. The text of message only can make it less spammy and more personal.